Walker Bay is a world leader in recreational water products, manufacturing safe, easy-to-use, innovative products with flexible options, all in a well-integrated package. By combining functional innovation, advanced engineering and diligent attention to detail, Walker Bay creates products that make life on the water easy and fun. 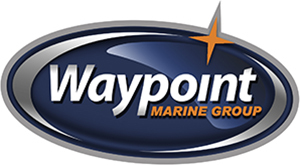 State-of-the-art technology and superior construction set Walker Bay apart from the rest of the marine industry. From the virtually indestructible injection molded hull of the Rigid Dinghy and Genesis RIB, to the AirWeb™ high-pressure construction of our Airis Kayaks, to the European styling and sport wide-body frame of our Generation luxury RIBS, all products are built, not to meet a market standard but to surpass it.